Rotteln Castle lies in the extreme southwest corner of the German state of Baden-Wurttemberg just North-East of the Swiss City of Basel. 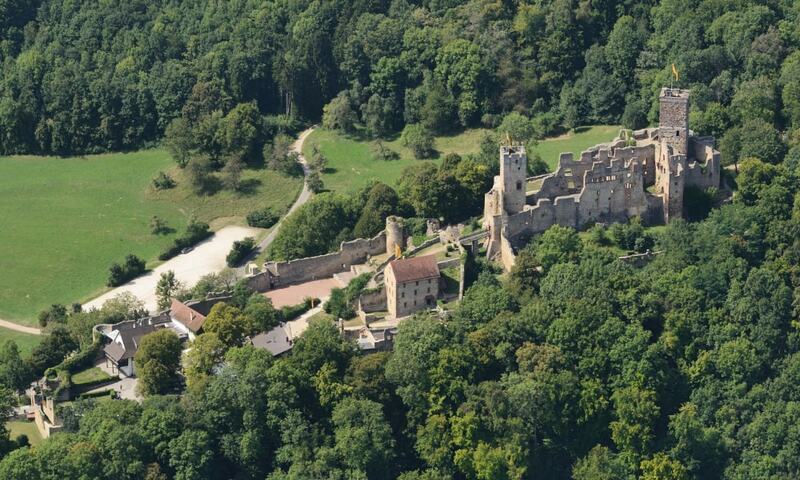 The fortification was one of the most powerful in the southwest, and today is the third largest castle ruin in Baden. The site of the castle extends from northwest to southwest over a distance of almost 300 meters. The upper castle with its powerful keep is the oldest part of the castle. The "Green Tower", at the highest point of the keep, offers a particularly fine view of Lorrach, the Wiese valley and several Swiss mountain peaks. The castle ruins are the most notable landmark of the border town. The lower castle is open year round; in addition to the small museum, there is a traditional restaurant / pub in the bailey.